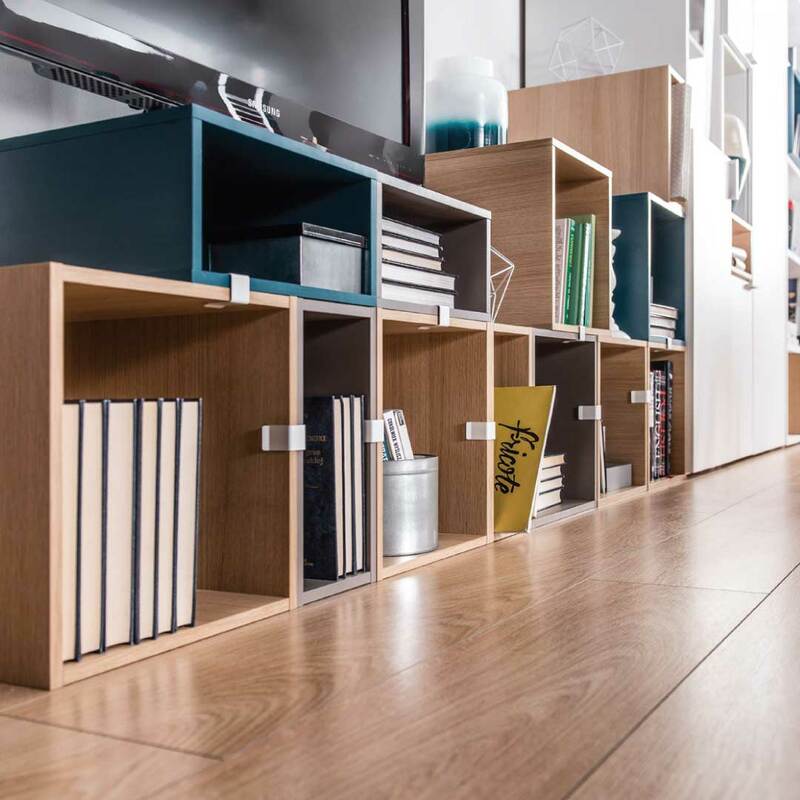 The 4You Two-Sided Bookcase from the 4You range by Vox features clean-lined design and clever functionality. 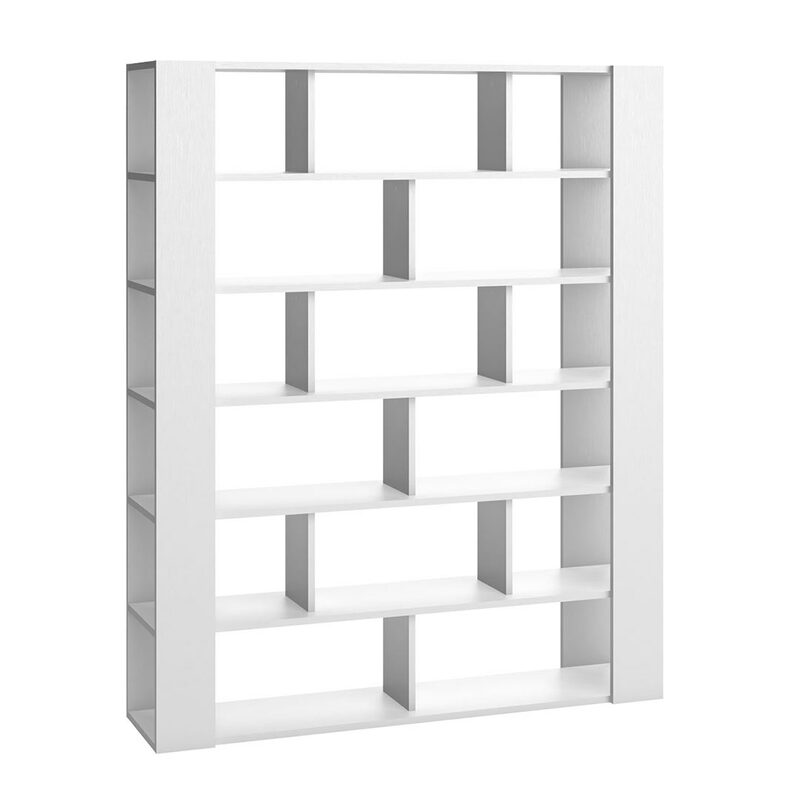 The 4You Two-Sided Bookcase from the 4You collection by Vox features clean-lined design and clever functionality. 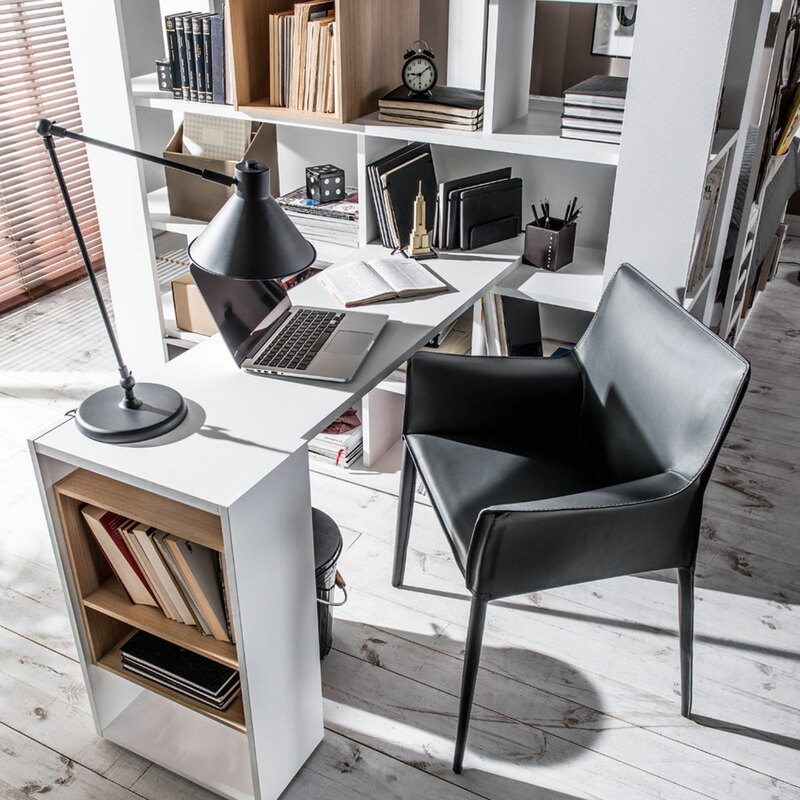 The 4You Two-Sided Bookcase embodies inspiring functionality, creativity and a perfect arrangement of space. The shelving unit has asymmetrically divided shelves which will help in cleaning and organizing books. 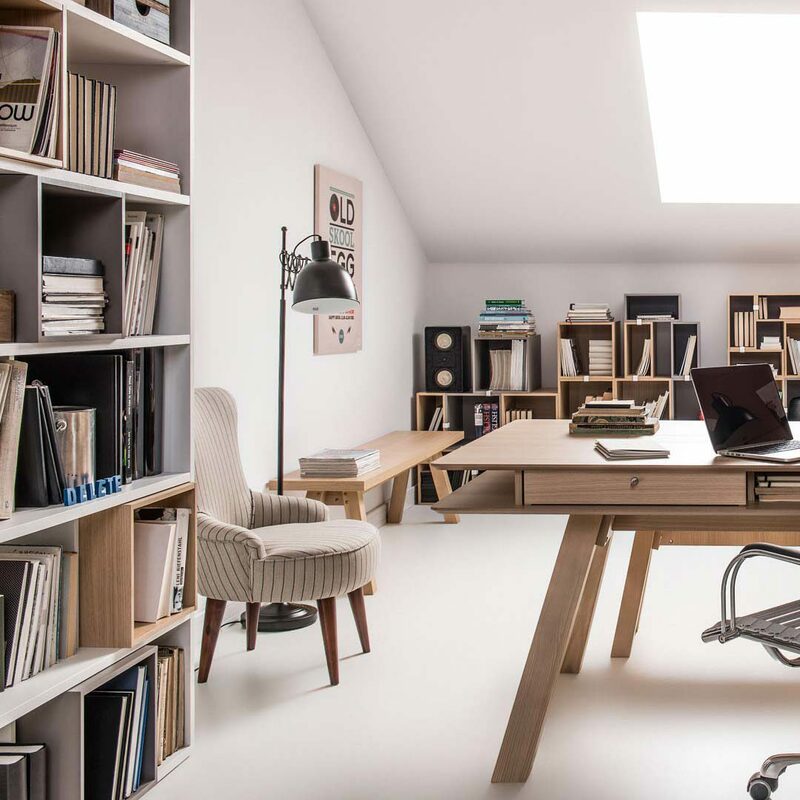 The shelves are made of thick board resistant to bending, so you can fill your library up to the last book. 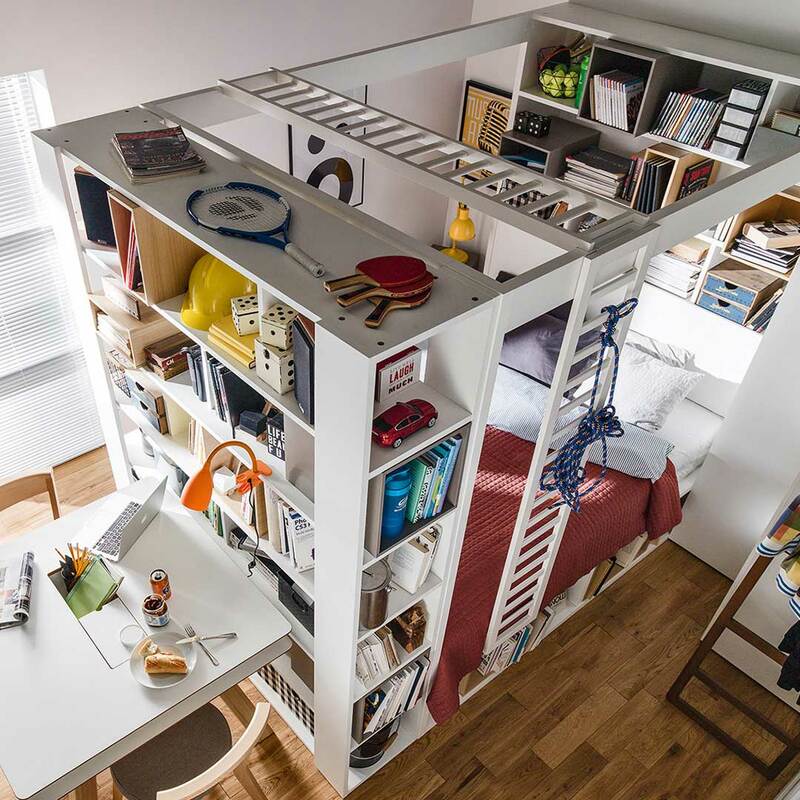 The shelving unit can be used as a partition wall in an apartment giving a part of it a more intimate character. The surfaces of modern laminated board are resistant to damp and damage and are easy to clean. For additional functionality the 4You Dressing Table can be added (available separately), which fits perfectly on top of the third shelf of the bookcase and can be slid in and out as the need arises. You can buy additional boxes in different colours and two sizes in order to make the arrangement more lively and give it decorative accents.